Does FBI Raid On Trump’s New York Lawyer Mean Attorney-Client Privilege Is ‘Dead’? Federal investigators have seized materials from the offices of President Trump's personal attorney, Michael Cohen. Some of them may be protected by attorney-client privilege — but some may not. 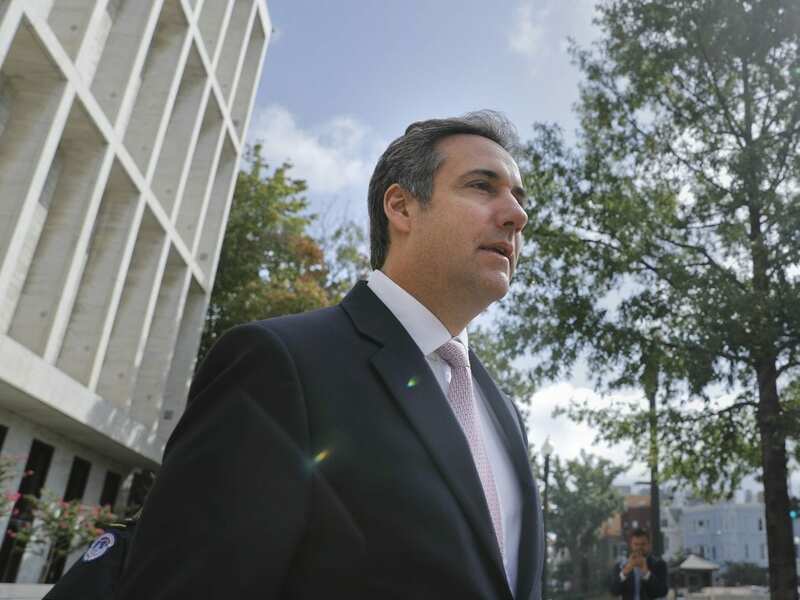 The FBI raids on Monday targeting President Trump’s longtime personal attorney, Michael Cohen, sent a jolt through Washington and darkened the legal cloud hanging over the administration. “Attorney-client privilege is dead!” Trump declared in an early morning post on Twitter. The Justice Department’s actions are baseless, he complained. What is attorney-client privilege? Did the FBI and Justice Department violate it with their actions on Monday? The privilege means that investigators generally can’t access whatever someone says to his or her attorney. The idea is that this encourages a client to get a lawyer and to communicate openly and fully with that lawyer. But that doesn’t mean that attorney-client privilege is a magical blanket that covers any and all scrutiny. It doesn’t. There are, in fact, a number of exceptions. Perhaps the most frequently cited is known as the “crime-fraud exception.” Boiled down to the basics, this says that discussions between a lawyer and client about a future crime or fraud are not privileged. Conversations about past crimes, however, are. So a mafia boss can’t send an email to his attorney that says, “I want you to arrange the murder of my enemy” and then keep that email out of evidence in court by citing attorney-client privilege. Sandick points to a few other notable exceptions. If a lawyer is communicating with a third party, for example, those conversations are not privileged. Or if a lawyer is giving business advice, that is not protected either. FBI special agents and Justice Department officials could be looking for those kinds of elements in the electronic devices, papers or other materials they seized from Cohen. “There are lots of things a lawyer might retain that aren’t covered by privilege,” Sandick says. What if investigators find material that is not mentioned in their search warrant? To conduct a search, law enforcement authorities convince a judge why they believe a crime may have been committed and why they expect to find evidence for their investigation in the home or office they want to inspect. The rules are even trickier for lawyers because of the privilege afforded to the work between them and their clients. That is why Justice Department officials at the highest levels had to approve Monday’s activities — Deputy Attorney General Rod Rosenstein reportedly signed off on them personally. If investigators see something in plain view while executing a search warrant, they can collect it. This gets a little tricky when it comes to electronic files, but there are specific rules governing computer searches, Sandick says. The general rule, he says, is that if investigators see something of interest beyond the scope of the search warrant when they’re looking at electronic files, they may need to go back to a judge and seek a new warrant. Now, back to the question of attorney-client privilege: If investigators seize privileged materials, such as electronic communications, in a raid, that kicks into gear a special process that creates a “clean team” to review those items. “This is an independent team, typically comprised of lawyers and investigators, that will review the seized documents for any privileged information,” says Michael Moore, a former U.S. attorney for the Middle District of Georgia. The goal is for the clean team to protect a defendant’s right to enjoy the privileged communications with an attorney — while the team can see materials protected under the privilege as it goes through the evidence, the lawyers prosecuting the case cannot. How unusual is a search warrant on an attorney’s office? It’s rare but not unheard of. There are, in fact, Justice Department rules that apply to a search of an attorney’s office. “Consideration should be given to obtaining information from other sources or through the use of a subpoena, unless such efforts could compromise the criminal investigation or prosecution, or could result in the obstruction or destruction of evidence, or would otherwise be ineffective,” the rules say. Because of the sensitivity of these issues and the importance of attorney-client privilege, executing a search warrant like this requires special approval from the Justice Department. DOJ rules specify that applications before a court for a search warrant targeting a practicing lawyer must be signed off on by a U.S. attorney or an assistant attorney general. Prosecutors also must consult with the Criminal Division at DOJ headquarters in Washington.